The crown jewel of the crypto world Bitcoin has run up over 604% year to date. But that pales in comparison to Ethereum’s 3,562% gain this year. 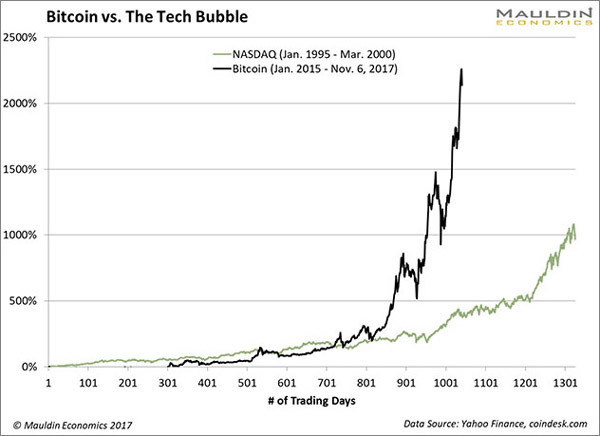 Bitcoin’s run has far outpaced the tech bubble, and its returns have already dwarfed dot-com mania. I don’t deny that blockchain is a transformative technology that will eventually revolutionaize the finance industry. But the mainstream adoption of the Internet in the 1990s was a paradigm shift, too. 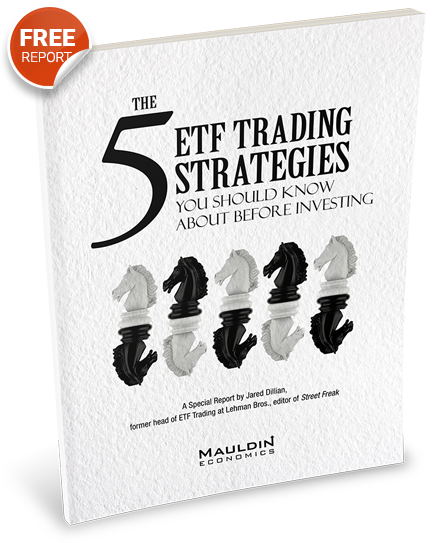 The widespread adoption of any tranformative technology has ups and downs and takes way more time than people think. These things don’t happen overnight. Ordering pet supplies online wan’t necessarily a bad idea. Amazon fulfills that very same need to millions of people today. But it took more than a decade for Amazon to grow and scale the business into the viable service it is today. 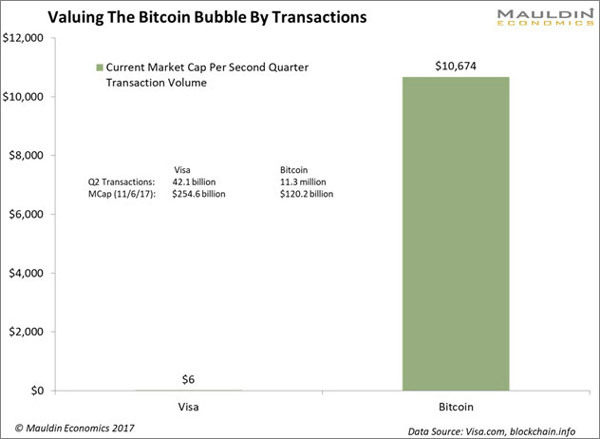 This means that it won’t take a whole lot of new capital to push Bitcoin even higher. But until Bitcoin matures, its price appreciation is only speculation. A common argument for Bitcoin is that a decentralized digital currency has the power to disrupt the fiat monetary system. However, it does not—as of yet. Visa, which is the world’s largest credit card company, processed over 42 billion transactions in the second quarter. It can handle tens of thousands of transactions per second, whereas Bitcoin’s Blockchain is limited to less than 10 transactions per second. There is also the matter of energy consumption. There are thousands of computers performing complicated math problems in order to “mine” new bitcoin, which consumes huge amounts of energy. The number of US households that could be powered by Bitcoin is estimated to be over 2.3 million. The Digiconomist also made a back-of-the-envelope estimate of Visa’s total energy consumption at 50,000 US households. Blockchain technology may someday become a widespread alternative currency. But Bitcoin’s rally appears to be driven by price speculation rather than its potential as legal tender. Bitcoin’s jump into the mainstream vernacular hasn’t gone unnoticed. 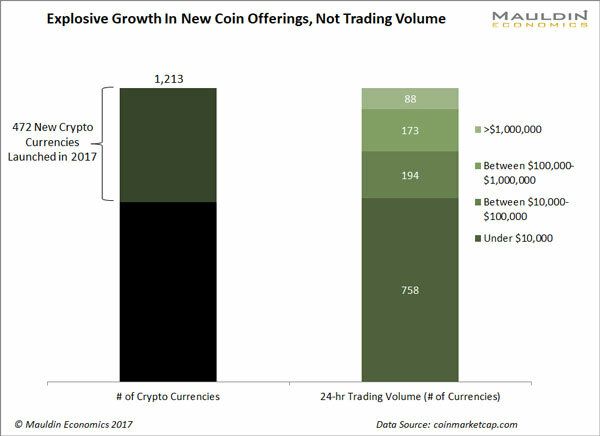 This led to explosive growth in new cryptocurrencies this year. In fact, 472 of the 1,213 cryptocurrencies just started trading this year—attracting $3 billion in capital. As I said before, Blockchain is a transformative technology that is likely to disrupt the finance industry sooner or later. 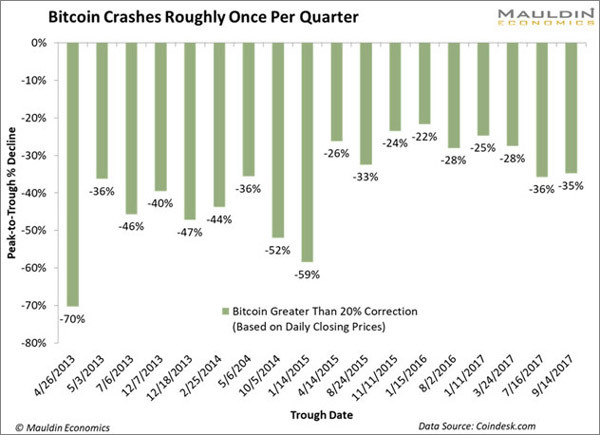 But it’s still in its very early stages, and today’s cryptocurrencies may suffer the same fate that tech giants like Pets.com faced in the dot-com crash.